Buy this product and earn up to 294 Reward Points. 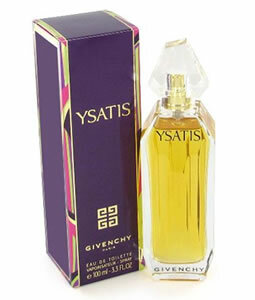 Presented in 1980, Eau de Givenchy is a women floral fruity fragrance that was signed by perfumer Daniel Moliere and Daniel Hoffman. It has floral, woody, white floral, green, citrus, and yellow floral main accords. The scent leads with head notes of mint, grapefruit, bergamot, mandarin orange, and fruity notes. The heart notes follow with narcissus, honeysuckle, lily-of-the-valley, orris root, jasmine, cyclamen, ylang-ylang, rose, and tuberose. Sandalwood, musk, oak moss, and cedar base notes complete this composition. With moderate longevity and sillage, this scent works well on spring and summer days.